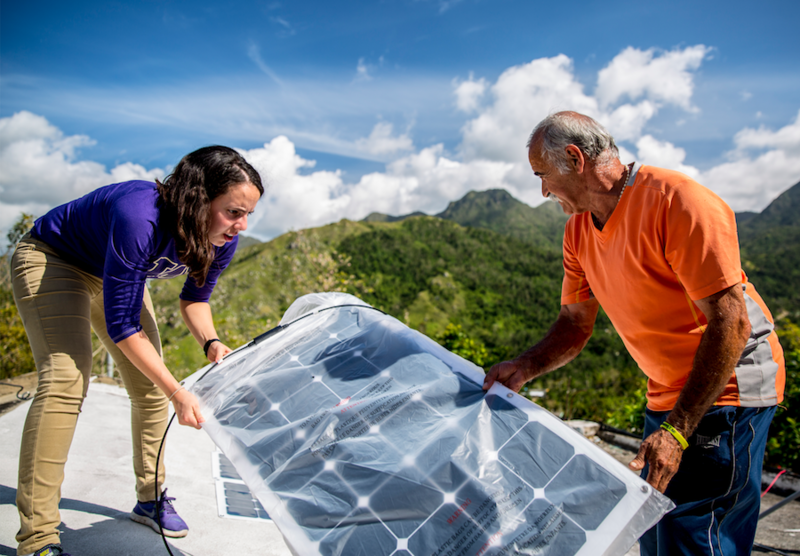 Chemical engineering professor Lilo Pozzo and a group of CEI researchers and public health scientists traveled to Jayuya, Puerto Rico this spring. The team visited homes and community centers, interviewing dozens of caregivers and residents who use electronic medical devices, as part of a long-term field study on the impact of power loss on public health. They also donated and installed 17 solar-battery nanogrid systems — prototypes of a sustainable, clean energy infrastructure that can buoy public health in rural areas when power grids fail (in addition to the four systems they installed on a November trip). Pozzo and her team hope to return later this summer. Read the full UW story about their work here.